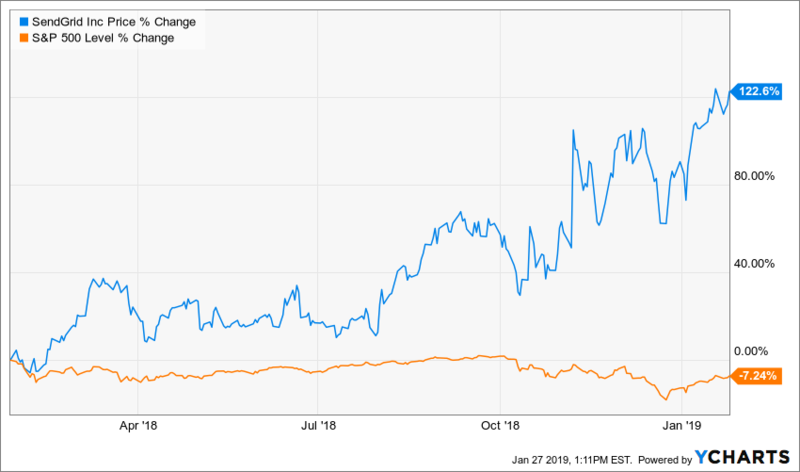 SendGrid Inc. (SEND) has been hot over the past 52-weeks, with the stock more than doubling to over $50 a share. The cloud-based email service provider has seen its shares gobbled up by institutions and hedge funds over the past few quarters, helping to send the stock soaring on the promise of massive earnings and revenue growth. In the third quarter, the stock was aggressively being added to the portfolios of institutional investors. As a result, the stock was placed in the WhaleWisdom 100 Index on November 15 as a result of the aggressive investor’s activity. During the quarter, institutional investors increased their holdings in the stock by nearly 50%, with the total aggregate 13F shares rising to over 40 million shares from 26.9 million shares in the prior quarter. Of those institution buying the stock, 50 of them created new positions, while 47 added to existing ones. Only 19 institutions exited, while 25 reduced their holdings. 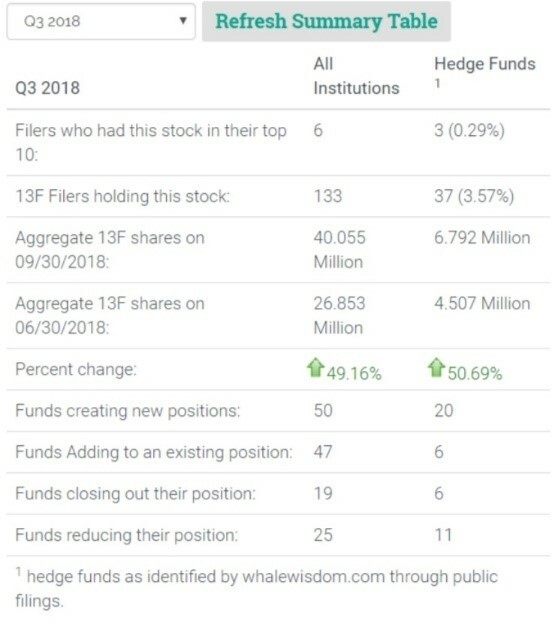 Hedge funds were also active in the third quarter, with the number of total 13F shares held rising by 50% to 6.8 million from 4.5 million in the prior quarter. During the quarter, 20 funds created new positions, while six added to existing holdings. Meanwhile, just six funds exited the stock, while 11 reduced their stakes. The convincing activity comes after the company has posted strong results three quarters in a row, easily beating analysts’ earnings and revenue estimates. Analysts are forecasting the fourth quarter to be healthy for the company too, with earnings estimated to increase by 7% to $0.05 per share on revenue growth of nearly 25% to $39.4 million. Estimates for 2019 suggest earnings growth of 17% on revenue growth of 23%. 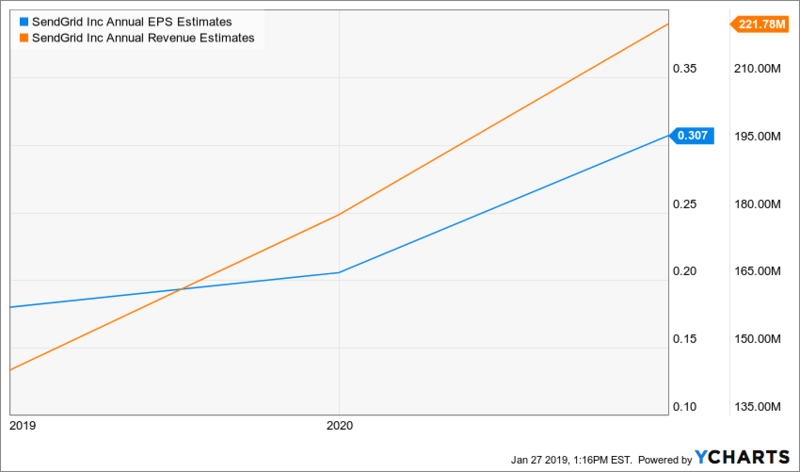 However, the significant earnings growth is expected in 2020, with earnings forecast to climb 47% to $0.31 per share from $0.21 in 2019. Meanwhile, revenue is expected to rise by nearly 24% in 2020 to $221.8 million from $179.5 million in 2019. For all the significant growth, the valuation does not come cheap with the stock trading at a nose bleeding 2020 PE ratio of 164. Even when adjusting the PE ratio for its 2020 earnings growth, the PEG ratio is a stunning 3.3, well above a fairly valued level of 1 to 1.5. There is no doubting that the company offers investors the opportunity for longer-term growth potential based on current estimates. There is also no doubting that the current valuation is very high. However, it also means that the investors that are buying this stock are likely to flee the first moment a sign of trouble comes to the surface. This entry was posted on Monday, January 28th, 2019 at 8:18 am and is filed under 13F, Stock. You can follow any responses to this entry through the RSS 2.0 feed. Both comments and pings are currently closed.